For this summer’s patriotic festivities, I thought that something nautical would be fun and festive and a nice change from previous years’ parties. 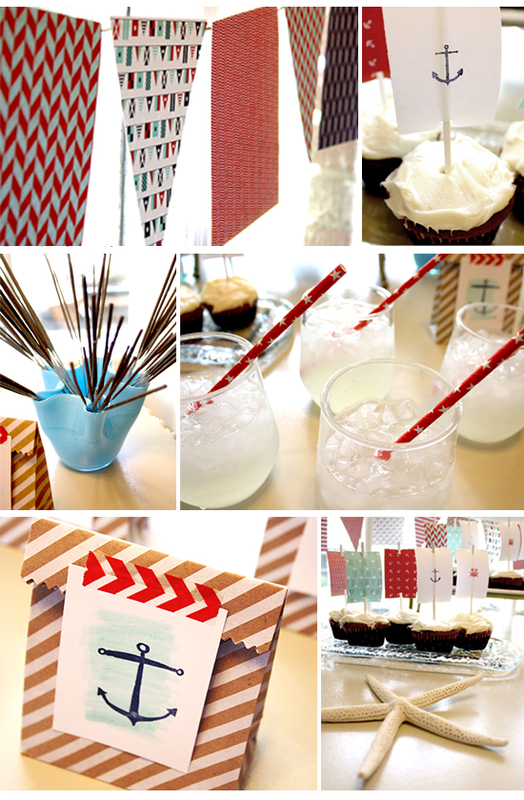 I really got inspired when I discovered this stamp set and designer nautical paper to coordinate and created the whole party around these elements! You can easily adapt this party concept to any sort of get together you’re having this summer from picnics on the lawn or a poolside party to a clambake with family and friends. No matter what you decide, I hope you enjoy it and get inspired for your own patriotic parties this summer. Soo cute! Love! I am so craving a trip to the beach.